as we move into mid-january, many new year’s resolutions have already been forgotten. as we move into mid-january, many new year’s resolutions have already been forgotten. one commonly broken commitment is to use the gym more regularly. however, while the average person starts the year with the best intentions of maintaining their fitness regimes, the truth is most are already unmotivated by the time valentine’s day rolls around. one way to overcome the inevitable slump is to workout with a view. 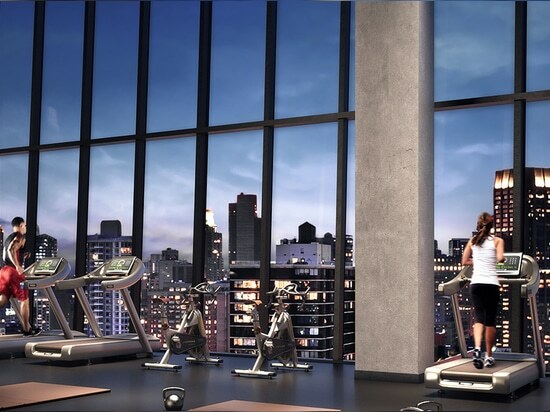 below, we take a look at some of new york’s most luxurious fitness centers whose designs help residents keep fit throughout the year. designed by SHoP architects, american copper is formed of two ‘dancing’ towers connected by a three-story skybridge suspended 300 feet in the air. the 48-story luxury rental development comprises 761 residences and a multitude of modern amenities such as a lap pool, a marble hammam with plunge pool, and an expansive double-height fitness center with a rock climbing wall overlooking the new york skyline. 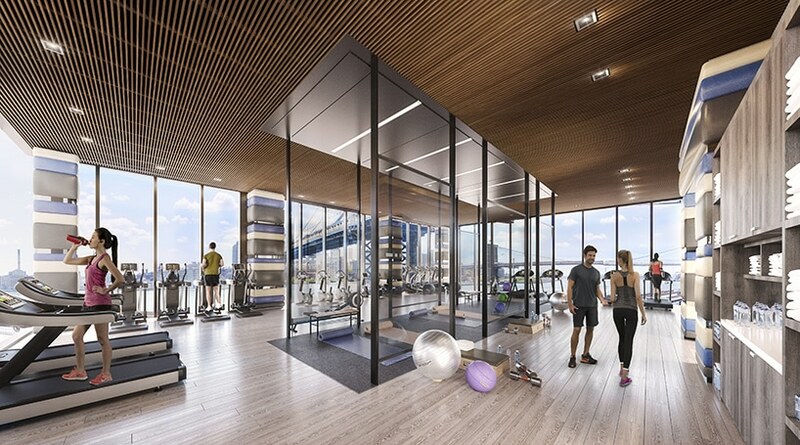 the towers provide panoramic views of the east river, manhattan, brooklyn, and queens, while the fitness center itself directly faces the empire state building. 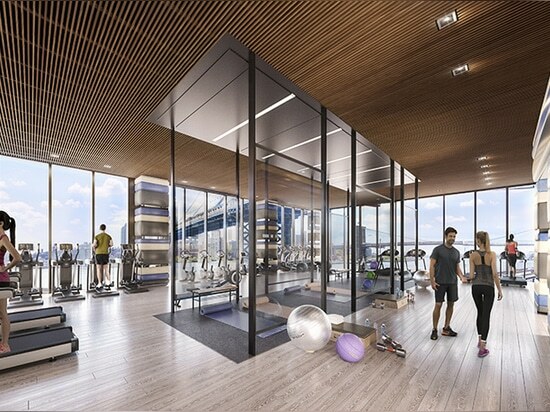 one manhattan square has been conceived as a ‘vertical village’ of 815 residences with over 100,000 square feet of amenities, including a multi-level fitness center facing the east river. 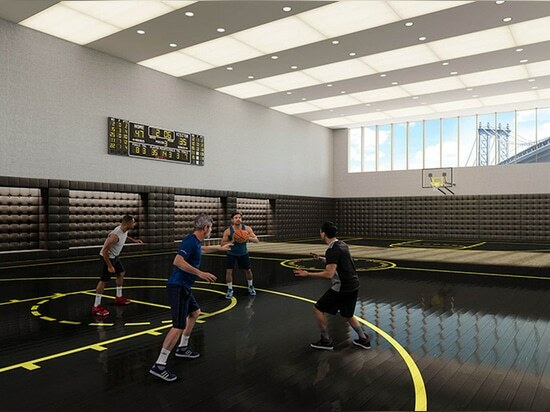 as well as weight and cardio rooms, four multi-use fitness studios, and dance and yoga classes, the development also includes a full size basketball court, a two lane bowling alley, a squash court, and a golf simulator. austin nichols house is a cass gilbert-designed warehouse located in williamsburg, brooklyn. 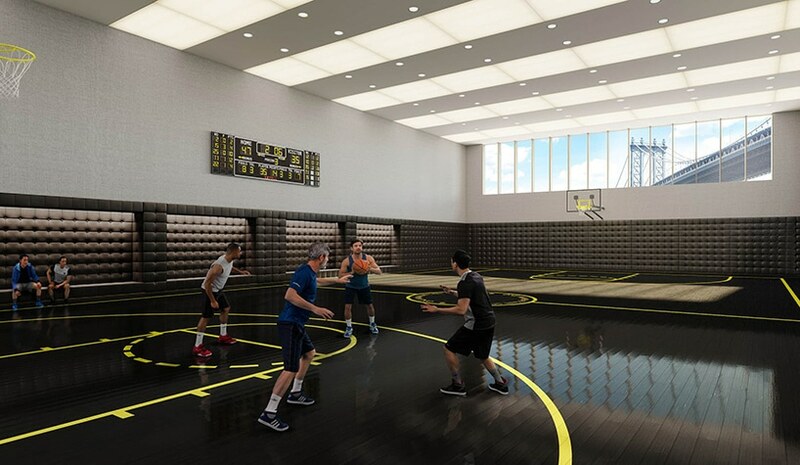 the building, which is in the process of being transformed into a luxury condominium by morris adjmi, offers residents a state-of-the-art fitness center, with cardio, weight, and training equipment. 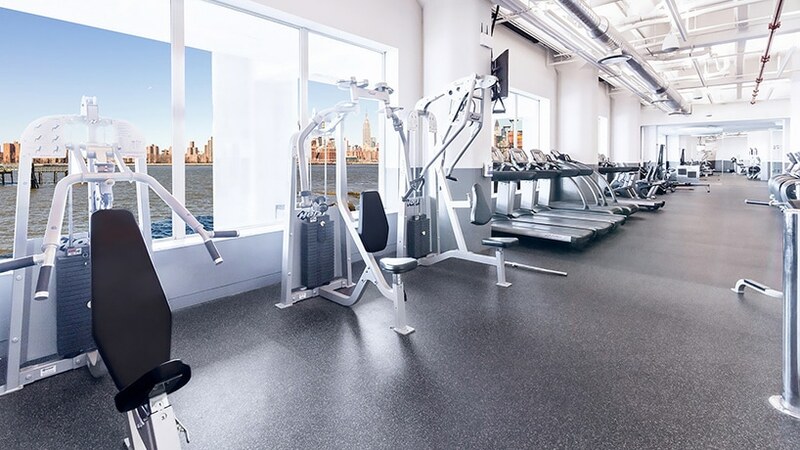 overlooking the east river, the gym provides unobstructed views towards manhattan. 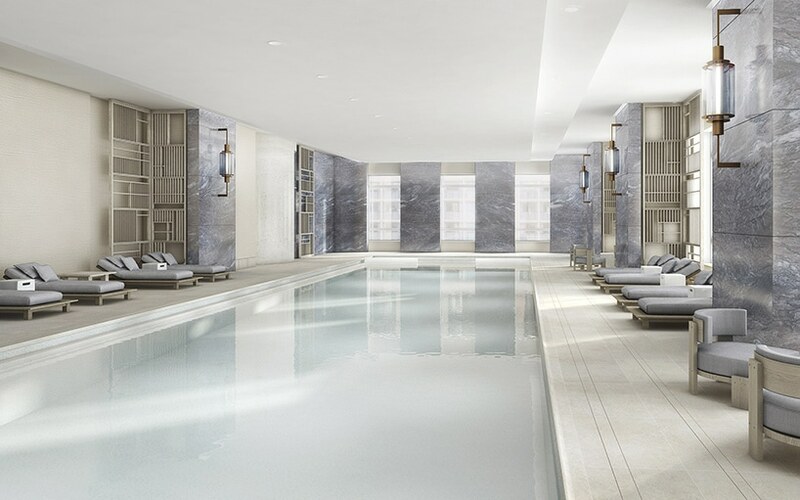 located within the 926-foot tower at 30 park place http://www.thirtyparkplace.com/ , four seasons private residences new york downtown includes a luxury fitness center with a yoga studio inside. machines and free weights line the space, while the studio has been conceived as a quiet retreat. oversized windows provide an abundance of light, while north facing views take in a range of perspectives, from tribeca to uptown, brooklyn, new jersey, and the hudson river. 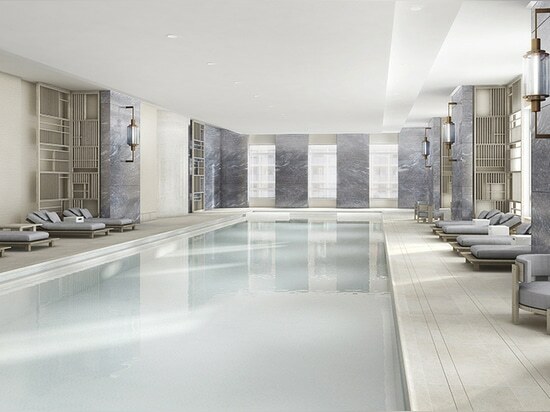 ’30 park place’ features nearly 40,000 square feet of amenities, as well as a full suite of hotel services, all managed by four seasons hotels and resorts. XOCO 325 is a project both designed an developed by DDG. located in soho, the scheme features a striking cast aluminum façade over a hanging glass wall. the building includes a sculptural concrete fitness studio, which features floor-to-ceiling glass windows, an abundance of natural light, and a view of the building’s garden. 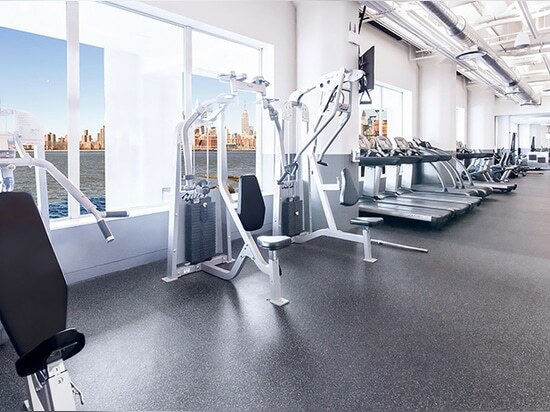 conceived as a quiet private area, the view from the gym is somewhat unexpected for residents living in one of manhattan’s most bustling neighborhoods.